Hopes that the internal pressure in Russia will make Putin and his authorities to change are utopian. So the only chance is the external pressure. It is in the interests of the West and the world civilization (and Ukraine as anyone else) to do the same with Putin's Russia as was done earlier with the Soviet Union. The Kremlin has to go around the world with a stretched hand. Only then will it be possible to discuss anything with him. And thus, with only one stroke, a lot of problems with security in many parts of the world will be solved. 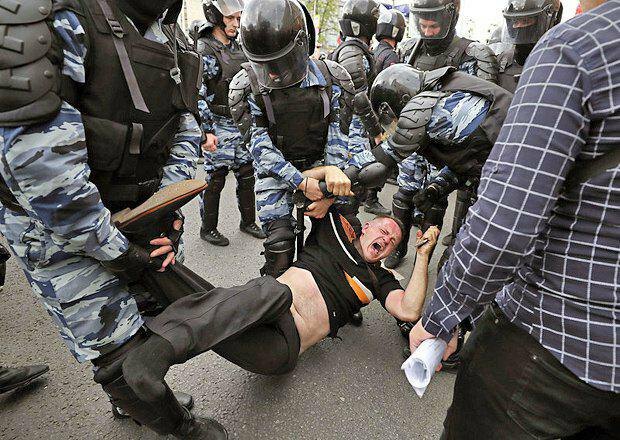 Results of the Moscow rallies held on 12 June should kill any faith in the coming political changes in Russia. 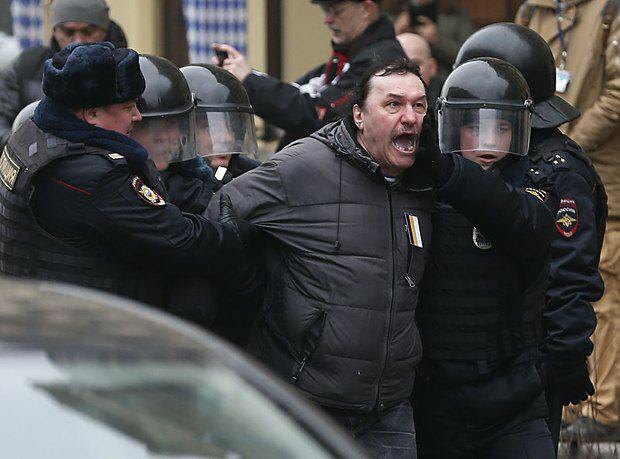 Hopes that the authorities in Russia may change from below, under the influence of public opinion or public protests are utopian. And it is not only about Navalny, Kasyanov or any other opposition leader. It is about the system of power built in Russia. This should have been recognised a long time ago - and the rallies (walks) "against corruption", which were timed to coincide with Russia Day marked on 12 June, clearly showed this: collective Putin will not give up its power to anyone for free. He held on to it like grim death - because after a series of crimes committed against a number of foreign countries this is the only way to ensure his own safety. The entire state system is being easily reformatted to retain power. 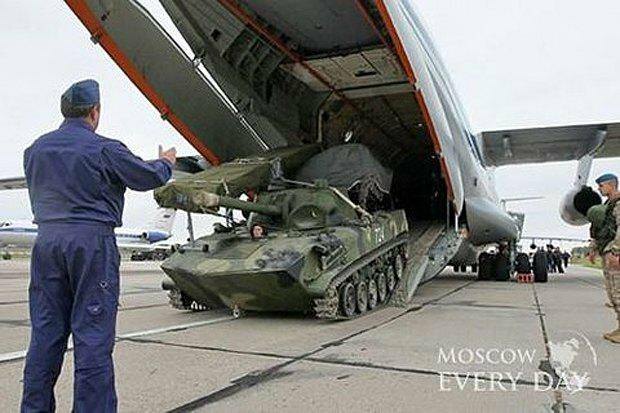 To retain power, he simply creates its own internal army, the Russian Guard, headed by a former personal bodyguard, pumping it with money, weapons, ammunition and powers. 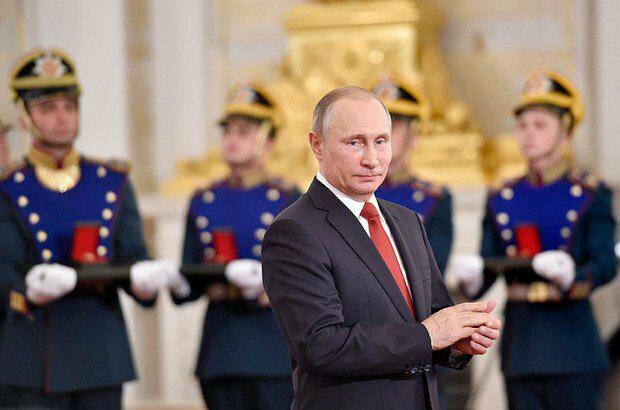 To retain its power, Putin's entourage is closely watching developments in the world - how people overthrow the rulers and change the authoritarian regimes from the Arab countries to Ukraine. And how international community reacts to this. All events are thoroughly analysed to work out countermeasures at once. After all, look how skillful the police were! They zeroed in on protest leaders even before the rallies. They foil any attempts to set up a tent or for people to stop in any one particular place in order to prevent the establishment of any protest-related infrastructure. They are not afraid to use force - even brutal force. Even to children. They are no longer shy to grab in numbers- be it 10, or 100, or why not 1,000-1,500 as it happened the last time. So all the neighbours oppressed by Russia, offended European capitals and Washington, or the "world government" should remember it once and for all: Putin and his team cannot be trusted with negotiations, but they will not give up power either. They will hold on to their power with teeth and are ready to shed blood for this. Not their blood, of course. And what about the Russian opposition? It is weak as never before: internal squabbles, a huge number of provocateurs and opportunists (special services feeling at ease here), forced emigration from Russia, and even the physical elimination of dissenters. Of course, someone is glad to see a large number of active young people at rallies. This is not surprising: this young generation has not seen anyone except Putin in their life, because Putin has ruled Russia almost like Brezhnev, who is associated the "period of stagnation". But we must be honest: this youth will not become the true protest power until 5-10 years later, or maybe more. Unless, of course, during this time it will withstand internal squabbles / forced exile / physical liquidation / subversive activities of the authorities and will still keep its protest fuse burning. Until then, we must be prepared for the Kremlin's open wars with its neighbors, for its efforts to instigate coups in undesirable countries, to commit acts of terrorism or cyber attacks on critical infrastructure, to breach online networks of their opponents, and the like - you never know what dirty trick Moscow can come up with to up the ante. Yes, there is enough volatile regions in the world, the Kremlin should only bring matches and firewood. Creating a problem and immediately offering a solution, but on its own terms, is a favourite trick of the Kremlin. So far, however, it has not paid off in fundamental cases. But, without doubt, the Kremlin will continue to try and look for weaknesses of the collective West. Moreover, it will continue until the West gets tired to always be in the role of catch-up. And until it begins to define the agenda in relations with Moscow. Therefore, it is in the interests of the West and the world civilization (Ukraine as anyone else) to do the same with Putin's Russia as was done earlier with the Soviet Union. The Kremlin has to go around the world with a stretched hand. Only then will it be possible to discuss anything with him. And thus, with only one stroke, a lot of problems with security in many parts of the world will be solved. The most glaring example is the reunification of Germany. After all, it was not the creation of the FRG, which was much superior in terms of economic development and social parameters, that helped it to recover its eastern part, the GDR. It was only because of the economic weakening of the Soviet Union. The Germans had been waiting for 41 years, until Moscow, which occupied half of their country, became more accommodating and agreed to leave. This became possible only when the last Soviet President Gorbachev at the time of the economic crisis in his country began to beg the world for "4.5 billion marks to feed people." The same must be done now. The concept of anti-Sovetism must be replaced by the concept of anti-Putinism, which would include complete ideological, political and economic isolation in response to the waging and conduct of wars, for support of terrorism and other destructive influence on the world. Qatar is a fresh example. By the way, as a result, the number of protesters in Russia will grow in parallel, and these will not be just young people who will demand changes in the country. For, as life shows, a connection between Russians' brain and a refrigerator is much faster and stabler than the arguments about violations of the virtual international and domestic law.